Yahooo! Yesterday was the first day in nearly a week that we have had a cloudless day all day! 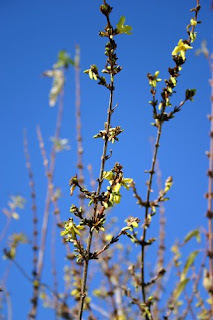 I thought my photo would look odd as just an expanse of blue so I decided to take a photo of the forsythia that's just coming into flower.